But a church greeter changed my attitude with an attempt at friendliness that went wrong. I didn’t have a chance to say no. In that moment, I tensed up. My sense of space had been invaded by a stranger. My expectation of the Sunday morning service went down 10 notches. Leaving his embrace and slinking to my seat, I was glad to get away from him. The rest of my morning experience had to overcome a pretty negative first impression. Here’s the thing. I enjoy giving and receiving hugs. In middle school and high school, I was part of a youth group that greeted and departed with hugs. In college, hugs were routine part of social gatherings. I’ve been involved in three church plants for Spanish speaking immigrants. Hugs and cheek-to-cheek air kisses between men and women are pretty common and normal. I don’t mind them at all. I enjoy them as an expression of fellowship. I don’t mind being hugged and don’t mind giving them. But here is the criteria: we know each other already and we’ve been introduced. Hugs after an introduction and a level of friendliness are perfectly fine. Hugs before an introduction are just creepy. You may have a different pattern when you give or are willing to receive a hug. Some of it is cultural norms. I choose to set my personal preferences aside when I’m meeting strangers. When I meet people at church for the first time, I don’t hug them. Quit hugging the first time church visitor. Even though hugs don’t bother me, this particular hug on this church visit affected me and soured my mood. This hug was out of place. That’s it. It’s just as bad as the space invading church greeter who kissed my wife. When we visited the same church two weeks later, I had an avoidance reaction when that same greeter tried to stand in my way again as I walked to my seat. I felt myself tense up and back away. I cringed and felt that fight/flight adrenaline rush. I felt myself making a mental note to not use that entry door if we come back. I successfully avoided the space invader hugging greeter who tackled and squeezed me last time. That is not the impression a church wants to leave with their first or second time visitor. You church greeters affect the first impressions a church visitor will have, so here are two simple lessons as takeaways. 1. Not everyone loves a hug or a kiss. The invasion of personal space can be an unintentional barrier to your first time guest. It may be the only thing your guest remembers from their first time visit. Nothing quite ruins my Sunday church experience like the 65 year old greeter who tries to mouth kiss me every time I go. 2. Train your greeters to set aside their preferences. If your greeter volunteers object with “I’m a hugger” or “I’m a kisser,” have them set aside their personal preferences for the comfort of your guests. My wife once hugged a pre-teen boy when greeting. As soon as she embraced him, she felt him tense up. This pre-teen kid was a family friend that we’ve known almost since birth, but he didn’t want a hug at all. My wife learned that not every one wants a hug, a kiss, or even a handshake in a social setting like going into church. Set aside your personal preferences for a more normal greeting that is custom to where your church is. You can get the 2 DVD Combo Set of Greeter Training DVDs. They are recorded powerpoint presentations from some online training classes I have given. When, if ever, do you think it is a good idea to give a hug to a person in church? I invite you to share your advice or experience in the comment field below. I concur about the hugging. One of my additional concerns is the “over-powering handshake.” When I was a little boy, I would at times accompany my father on his bread delivery route. He would remind me, before introducing me to his customers, to always wear a smile and have a firm grip when shaking hands. Now there is a difference between “firm” and “powerful.” One conveys caring, and the other conveys, in my opinion, YOUR need to show your power, or your hunger for affection, to the other person. In other words, it’s more about YOU, than about that person. It is my belief that we need to be alert to modulating our behavior to the person we are greeting. I was a mental health counselor for 35 years, so I am well aware of first (and second and third, etc.) impressions. Studies have shown that communication consists of: 55% nonverbals (like hugging, handshaking, eye contact, personal space, etc. ), 38% tone of voice, and only 7% words. To me, showing God’s love by modulating our behavior to the other person’s condition, is most helpful and genuinely empathic. My encouragement to those who greet others–whether it be in church or elsewhere: BE AWARE; THEN MODULATE, MODULATE, MODULATE. “I’m a hugger!” My response? “I’m a puncher.” Not even kidding; ask the Free Hugs girl who insisted on hugging me after I pointedly told her no, absolutely not. She went for it and ended up nearly biting her own tongue as I heel-punched her chin. The astonished look on her face was… priceless, and I honestly felt like she deserved it, even though I also felt a little bit guilty, as I’d intended to straight-arm her in the chest to keep her away from me. I think it got the point across much more forcefully, though, that no means no, even if both parties are female. Do. Not. Hug. Me. 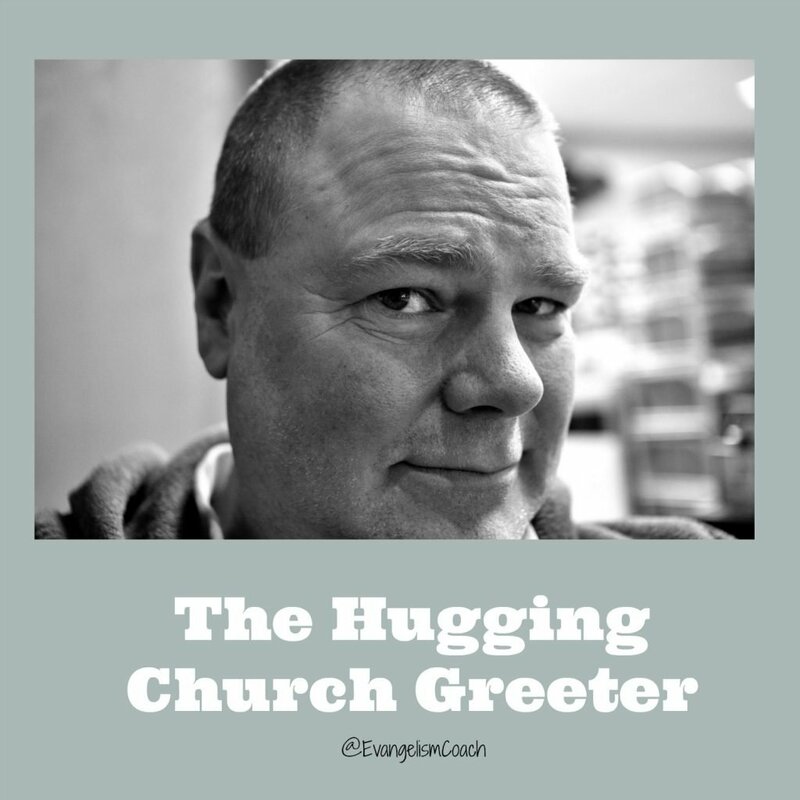 Now, obviously, I’m not likely to /actually/ punch a church greeter, but saying the words “I am a puncher” might get them to put the brakes on for two seconds, long enough for me to explain that I don’t hug people I don’t know. And no, an introduction is not enough. I have to have known you for quite awhile — at least 8 months — before I’ll consider it. I’ve made rare exceptions for people who asked — and most importantly! — waited for an affirmative response before getting all up in my space. I get that its The House of the Lord and all, but I don’t know you, don’t touch me. I’m most definitely NOT a hugger. Or a toucher. Don’t do that. It’s much too intimate a gesture for someone I don’t know. 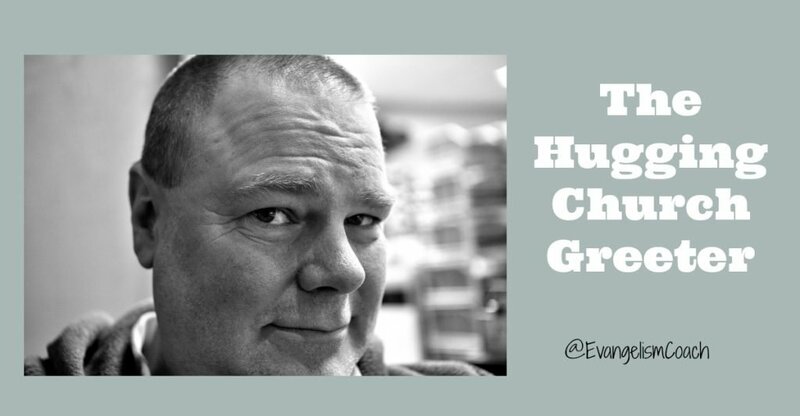 As I work in different cultures, the viewpoints on hugs differs with social customs. When I was younger, I would give and receive willingly from anyone, but as I’ve aged, I tend to be more reserved and recognize it as a potential invasion of space. For greeters and for other hospitality workers, I think it is important to assume a hug is unwelcome and just use that as your practice until such a time as a hug is known to be welcome. The goal is to help your guests and members feel respsected, not violated.